I have to admit it’s been a while since I went to a wedding fair. But with one of the North West of England’s biggest events taking place practically on my doorstep at Event City in Manchester, it was definitely too good to miss. Having grabbed my press pass, I took the opportunity to have a browse and chat to lots of the exhibitors. The overwhelming majority were positive – they were having a great show (I went on Sunday morning – the show ran from Friday evening right through the weekend). 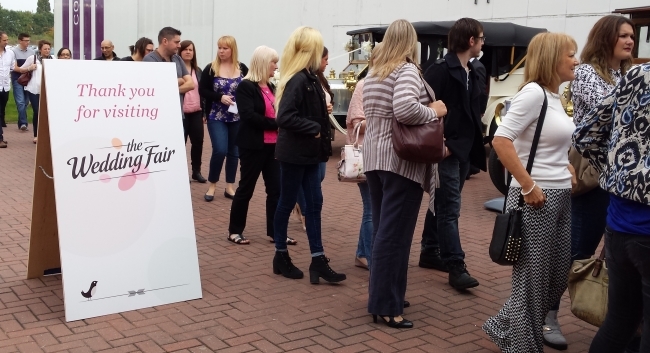 Only one person thought that wedding fairs didn’t really have a future. 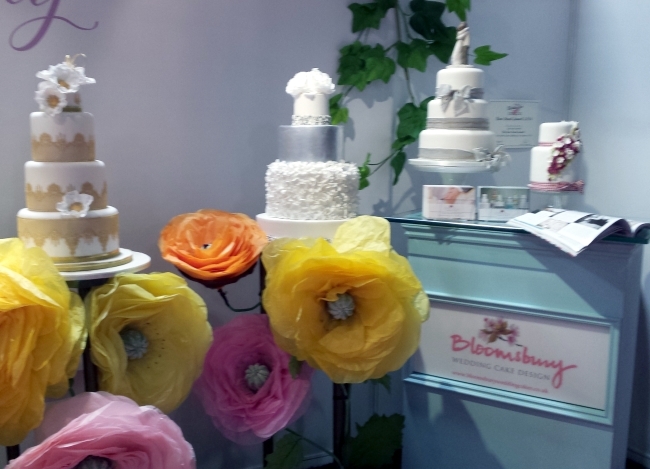 Bloomsbury cakes used huge colourful paper flowers to decorate their booth. They stood out a mile and instantly attracted you to their display. Of course, their cakes were exquisite too, but being delicate and detailed didn’t have the same impact at a distance. Won an award? 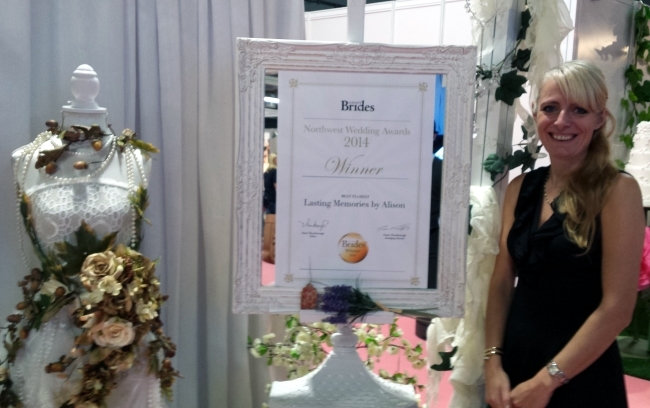 Display your certificate in a lovely frame and integrate it into your display. Lasting memories by Alison have only been trading 3 years but already have an impressive track record. 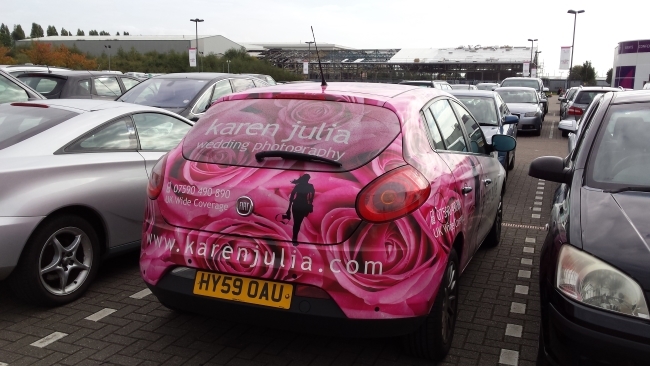 I certainly spotted this car as I went through the car park. Cannily parked near the entrance, I remembered the name when I walked past Karen Julia’s booth and it made a good talking point. By the time a bride has walked round the show her head will be buzzing and her feet aching and she probably won’t remember who had that gorgeous dress she spotted 3 hours ago. Make it easy for her by taking her details and following up once the show is over. 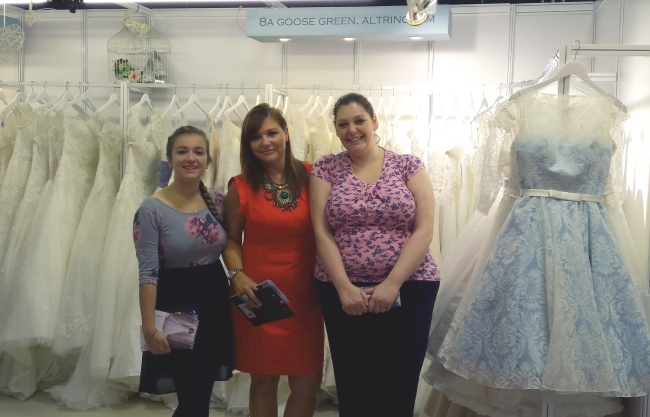 The lovely ladies at Cheshire Bridal Wear came prepared with little cards to complete as they chatted to their prospective customers. This depends on your service, of course, but offering a discount or incentive to make a booking on the day is very effective. It’s a way of asking for the sale without sounding too pushy. 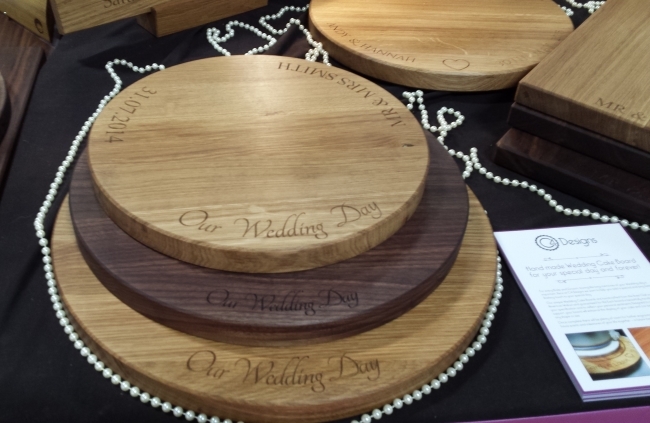 Newcomers C4 Designs did this with a 15% discount on their stunning personalised cake boards. Don’t sit in the corner of your stand checking your smartphone (or eating lunch). Stand up, smile and greet people. Don’t simply thrust leaflets at people as they walk past. Every bride is going to come home with a bag stuffed with paper. I’m willing to bet most of it gets chucked away without being read. Sadly I saw examples of both of these. 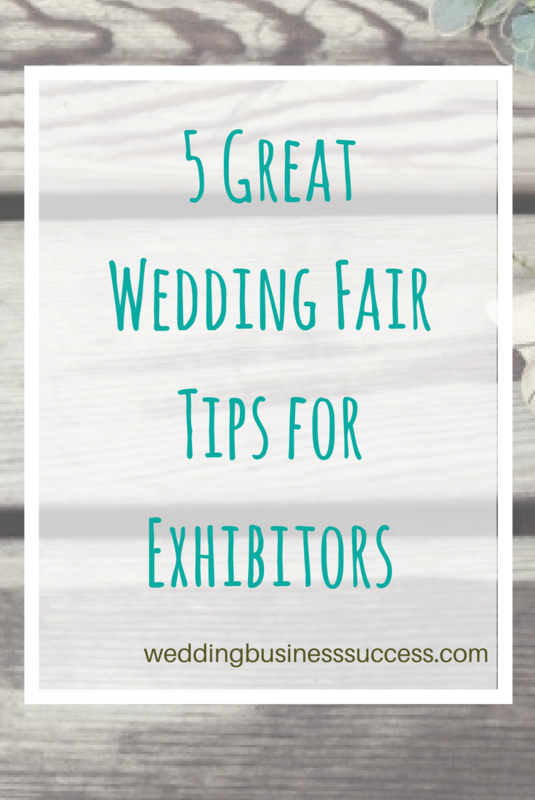 Thank you to all the lovely wedding businesses who took the time to chat to me.